It's about time we took her seriously. If you think Miley Cyrus is just that former Disney starlet who sticks her tongue out swinging atop a wrecking ball without any clothes on—well, you are wrong. The controversial pop star is actually a huge supporter of the LGBT community. The singer revealed that she came out to her mother as a bisexual when she was 14 years old [via The Daily Mail]. Miley, who is the recent recipient of the AmfAR (American Foundation for Aids Research) Inspiration Award, also launched the #InstaPride campaign, a two-week yellow portrait series that celebrates love, support, and resilience of transgender and gender expansive individuals from all walks of life. 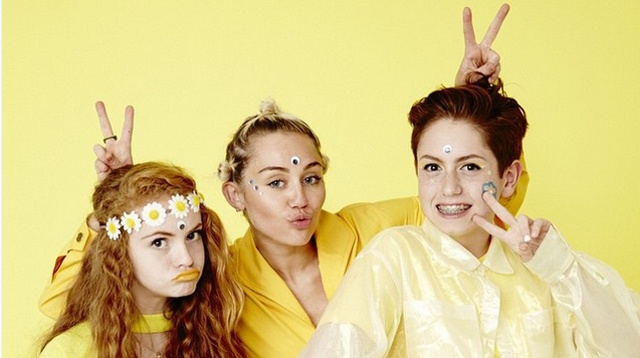 See Miley and her trans friends in some of her #InstaPride snaps below!